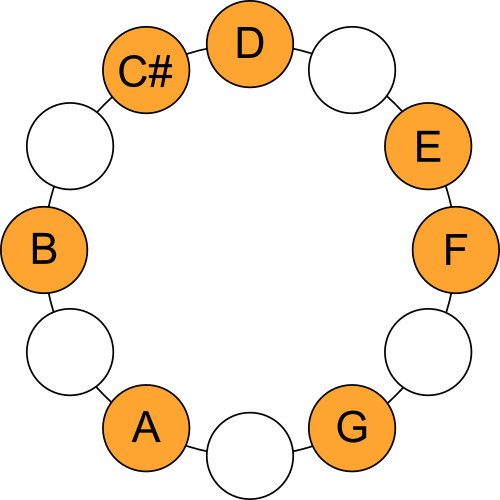 This scale is the second mode of the C Major Scale. Holdsworth actually defined this scale in his video als the "C, Dm, G7" scale. We know that Allan, not unlike Pat Martino, preferred 'conversion to minor' whenever possible so the scale is named not as C major a type of D minor scale, which for jazz-improvisation is actually much more efficient. As Allan said in this 1991 interview: "Basically I have a way of breaking down chords into scales and I usually take them to the nearest relative minor and I work on it from there." On 13 September 2014 there was a "meet & greet" with Allan Holdsworth in The Cutting Room in NYC. Here, Allan discussed his approach and concepts more in-depth than he would typically do or was known for. 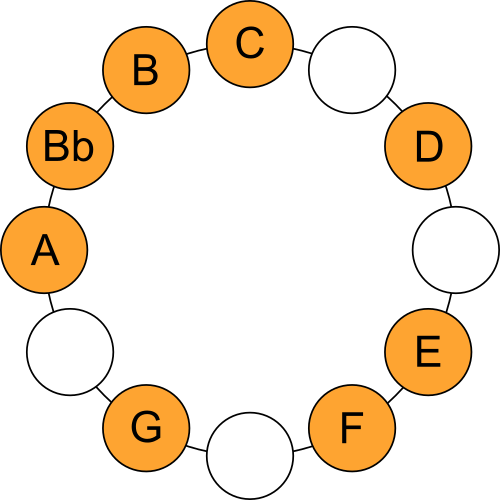 In this 'part 3' of the highly recommended recordings of that meet & greet, he explains how he looks at the notes within an octave as a circle, instead of, say, a row and he showed a graphic of his interpretation of such a circle. He explains how he arrived at his personal concept of approaching the C major scale from the second degree (the D dorian mode), and using it as a vantage point. The reason for this is that he looked at the circle visualization of the scale and found it to be perfectly symmetrical when the D is at 12 o'clock. This is also how he arrived at his naming convention of the 'x' as the most basic scale type. So, in a way not unlike Pat Martino's approach, he uses 'conversion to minor', looking at each scale preferably as a variant of the dorian mode. The practice of visualizing scales in this way comes from Musical Set Theory, as a way to visualize pitch classes, a system that takes a highly mathematical approach to music and is more commonly used in the world of classical music, especially amongst scholars and composers. 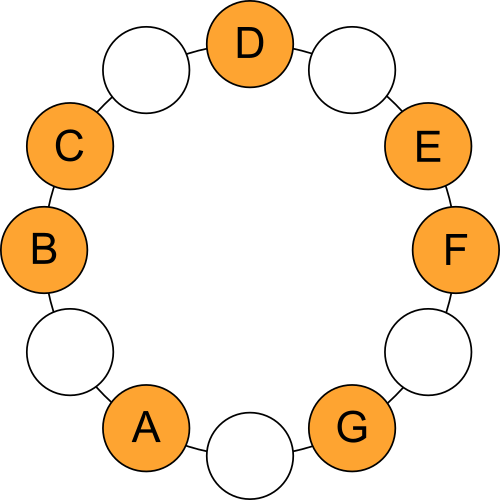 A good example of this is the Chromatic Circle. Visit the Main Topic for the D Melodic Minor Scale. 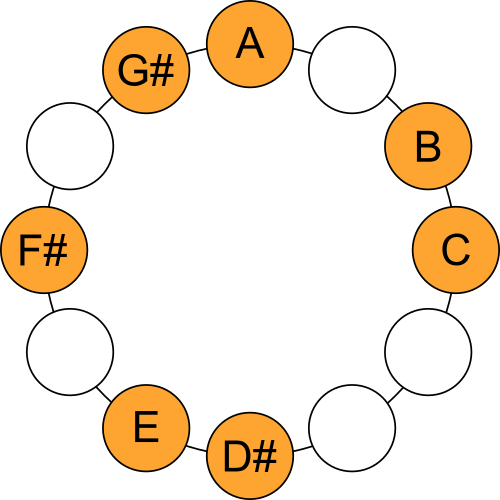 Visit the Main Topic for the A Harmonic Minor Scale. 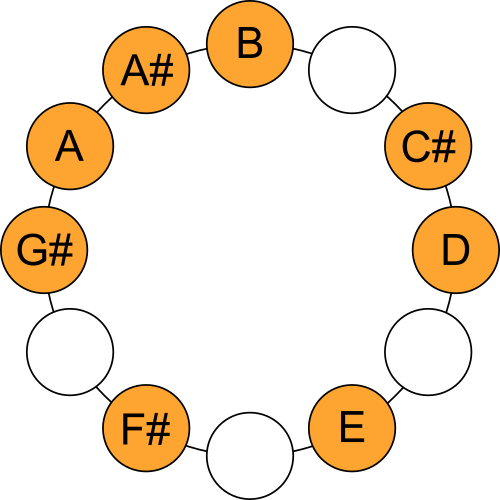 Visit the Main Topic for the A Melodic Minor #4 Scale. French composer Olivier Messiaen in his work "The Technique of my Musical Language", presented this scale as the second of seven "Modes of Limited Transposition" (Wikipedia). Thus, it may be referred to as the 'M2'. Visit the Main Topic for the G Dominant Diminished Scale. Visit the Main Topic for the Bb Jazz Major Scale. 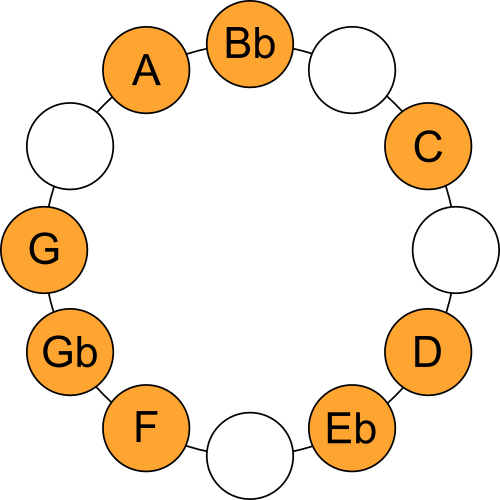 Visit the Main Topic for the C Jazz Dominant Scale. 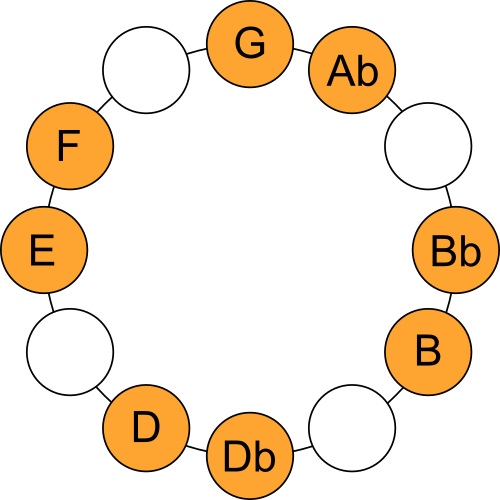 Visit the Main Topic for the B Bebop Dorian Scale. 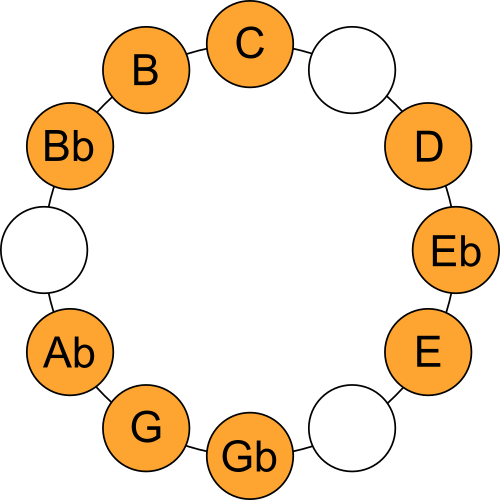 Visit the Main Topic for the A Bebop Melodic Minor Scale. French composer Olivier Messiaen in his work "The Technique of my Musical Language", presented this scale as the third of seven "Modes of Limited Transposition" (Wikipedia). Thus, it may be commonly referred to as the 'M3'. Rick Beato on the Modes of Limited Transposition. Here's a (crude) clip of Nelson Veras during a clinic at the Conservatory of Amsterdam expounding on improvising with this scale. And here.